Watch Revenge Season 4 Episode 20 online now! Amanda Clarke has a final mission to accomplish before the war is over. Will she pull it off? On Revenge Season 4 Episode 20, Amanda has one final mission to accomplish. Watch Revenge online now to see if she's able to pull it off! Emily settles into life as Amanda Clarke while Victoria is still reeling from the media frenzy surrounding Amanda's exclusive interview which cast Victoria as the villain in Amanda's life. And since she was the villain in Amanda's life, the shoe totally fits. Louise enters believing Victoria should face the press with her head held high and Margaux disagrees. When Victoria steps outside her penthouse, she's attacked in the parking garage. She believes Emily to be her attacker. Nolan and Emily make up shortly before she heads out to retrieve the missing flash drive from Victoria's possession. He hosts a charity event for Tony and Louise crashes the party. She had hoped to catch a confession from Nolan regarding Victoria's earlier attack on her phone but Nolan wiped it clean. Jack comes to Nolan to quit his job, collect his final paycheck, and tell his friend goodbye. He's decided to move to Los Angeles with his mother to start a new life away from the drama of the Hamptons. 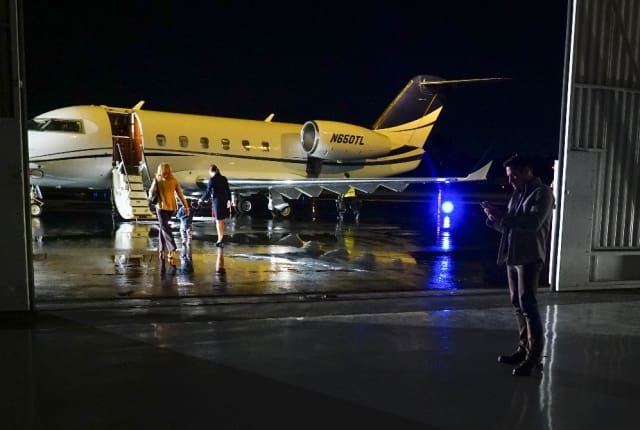 On Revenge Season 4 Episode 20, after Victoria is attacked, she takes matters into her own hands, while Emily is forced to come to terms with what she really wants.